This year was the first meeting with new CEO Steve Vamos and former CEO Rod Drury in his new role as “Non-Executive Director”. Rod’s presence was still felt, stepping in to field a couple of the questions directed at the Chair. Rod’s role is described as being freed up from running the global company with some 2,500 staff to focus on what he loves, which is the product vision. From Chair Smith’s description at the AGM and that of the ASX Announcement at the time of Rod’s “succession” was announced, I really struggled to understand how it can be a NED role and not a Chief Product Officer role, Rod is fulfilling. As you can see from my live tweet above, I asked the Chair to clarify why Rod’s role and how it wasn’t an executive directorship, rather than a NED role? I still struggle to understand how you can drive product vision without executive powers/responsibilities. The office is no big deal. The lack of direct reports I question. If Tony Stewart (Chief Product, Platform and Data Officer) has historically reported to Rod, how do Rod and Tony interact now Rod is a NED and Tony does NOT report to him? Who really directs the Product team? Who really makes the “captain’s calls” on critical resource allocation decisions on product development? But does it really matter? From a governance perspective, Rod, as founder, is far from independent, so is there really much of a difference between NED and ED? Maybe.. If, as Rod says he is investing significant time on non-Xero activities like snowboarding, surely that gives Tony time to be the real CPO..? The old saying goes “a fish rots from the head” (ask the Manly Sea Eagles fans). A company whose board and senior executive are comprised solely of middle aged men, probably isn’t going to engage its workforce and customer base on a global scale, as effectively as one that more closely represents its workforce and customer base. Where’s the Gender Diversity? Only one person (senior management and Board) on stage was female. Rod responded that it is recognised and they are actively working on it (internally and at board level with Sam Morgan’s departure), but won’t compromise on quality over diversity. On top of gender diversity the group also traverses the core markets with Kiwis, Aussies, Poms (British) and Yanks (Americans). Q: drilling in on the @GustoHQ partnership what’s that mean of the Monchilla acquisition and @Xero‘s US Payroll? Just a quick background: over the years, Xero have invested significantly in adding Payroll to their US offering, firstly through their own developments and then via the Monchilla acquisition. Recently they announced a strategic partnership with Gusto. I didn’t feel it was 100% clear what that meant of Xero’s sunk cost on US Payroll. Would they continue to have a US Payroll offering? What of existing US Payroll clients? The decision was made on the back of the “new deployment of capital framework” that informed them to redeploy company capital to more effective growth strategies. This is partly because Xero under-estimated the level of Payroll outsourcing in the US (~50% of business outsource their Payroll in the US and less than half that in Australia (21.3% according to stats from the Australian Payroll Association)) and the servicing the accounting and bookkeeping channel might pick up in this area. “The margins on payroll outsourcing don’t suit the Xero business model”. Two questions, one asked by me, surprised with Xero’s standing as a very firmly kiwi company, listed on the ASX. 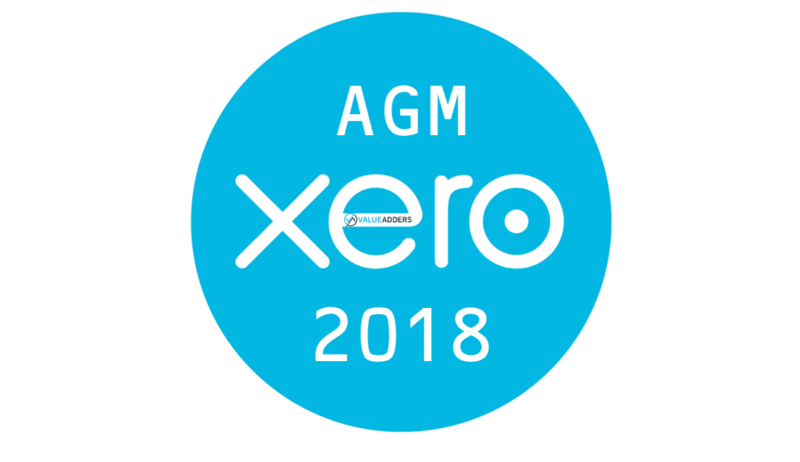 Given Xero is an ASX listed company and holds its AGM in Sydney, when will the results numbers be discussed in $AU rather than $NZ? It won’t. The $NZ will remain the report currency. How come, now Xero is solely listed on the ASX, it does not have a motion on Rem. on the AGM agenda? Because Xero remains a New Zealand company with responsibilities under the NZ Companies Office, not the Australian Securities and Investment Commission (ASIC). NZ Companies Office does not require Rem. to be discussed at an AGM. Seriously, why would any investor invest in Xero and expect/want dividends? The mentality of the Australian (dare I stereotype) retired, self-managed Super fund investor, to want dividends does my head in and shows the lack of understanding in the market. US investors almost punish companies for paying dividends – it indicates they have run out of growth channels to invest in. But, Australians apparently want dividends, even in their high growth companies… shoot me!